Our five luxury chalets, each with a private wooden deck, all have en-suite bathrooms fitted with a bath and shower. A mini bar fridge, tea and coffee station, and storage facilities are standard features in each chalet. The lodge also has three bush rooms ( to accommodate additional guests). Tasty meals are prepared by our chef in an Italian and South African way. Good South African wines are also available. Our daily rate at Iwamanzi includes : welcome drinks on arrival, full luxurious accommodation in our chalets, three tasty meals prepared by our in- house chef, snacks , sundowners and two game activities per day( game drives/walks). The area is home to many different antelope, sable, nyala, bushbuck, kudu ,impala, red hartebeest, gemsbuck, and other species like warthog, zebra, brown hyena, buffalo, giraffe, wildebeest, buffalo and 250 different bird species. 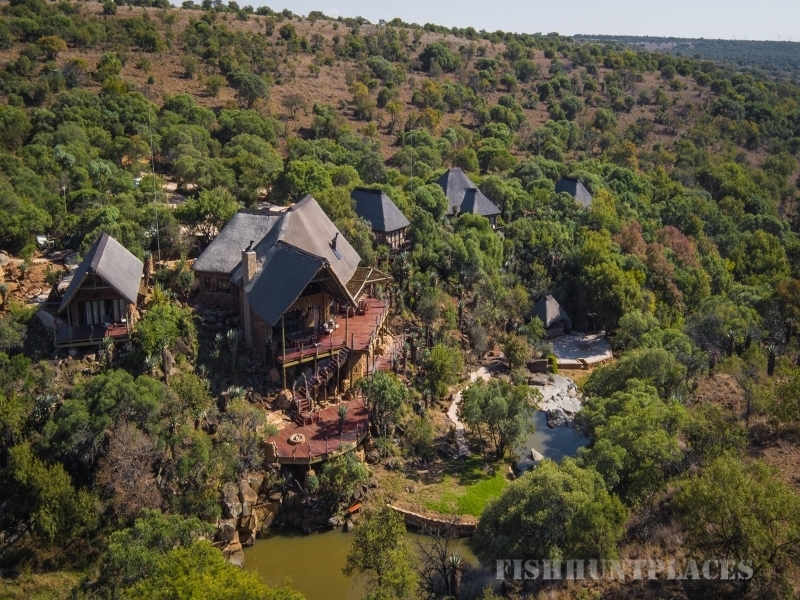 We do game drives and bush walks, guided fishing, clay pigeon shooting, private lunches at our big waterfall, romantic dinners at the river lapa. 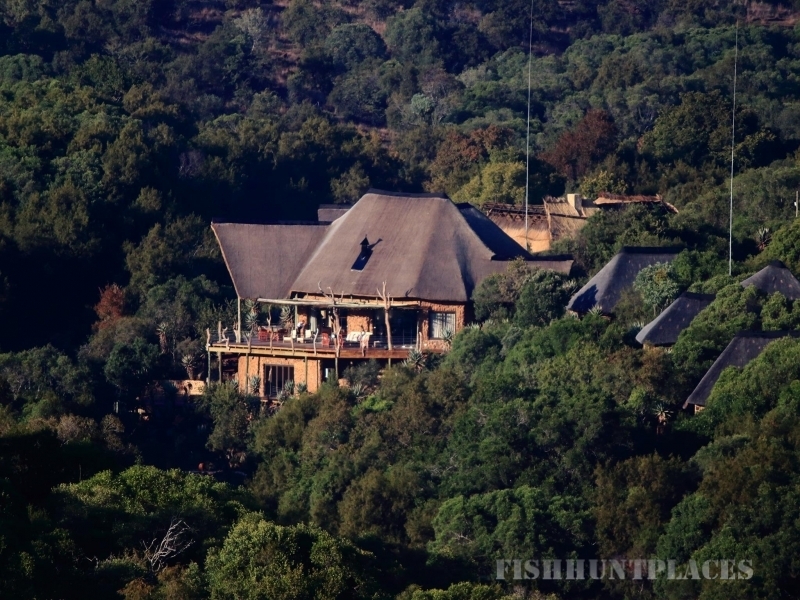 Come, relax & unwind at Iwamanzi Private Game Lodge in an ideal bush hide away, privately situated for your indulgence.